Nicholas Day has designed a timeless and private two or three bedroom residence; the main bedroom opens on to the rear terrace, and it features a spectacular robed dressing room and luxurious ensuite bathroom. The second private bedroom boasts access its own private courtyard. A study or third bedroom is complemented by an additional bathroom with Euro laundry. All of this defines this elegant single level town residence situated at the rear of an exclusive boutique development, showcasing light filled living spaces, high ceilings and quality appointments creating a veritable contemporary haven. 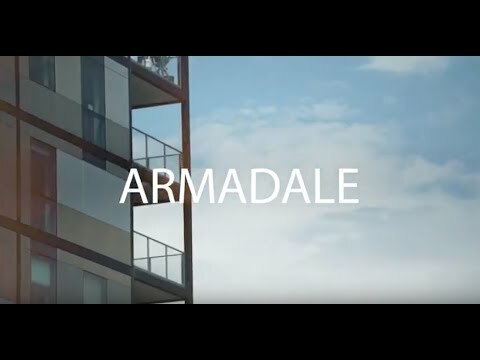 In a prestigious locale just moments from Armadale's sophisticated High Street shopping precinct, accommodation features a magnificent open plan living, dining and entertaining space opening to a delightfully private and easily maintained rear garden, perfect for enjoying its bright north westerly orientation. Additional embellishments include a well-appointed kitchen with high end appliances, parquetry entranceway, bespoke cabinetry, considered storage, garage with internal access and intercom entry completes this exquisite representation of lock up and leave convenience with a touch of grandeur.